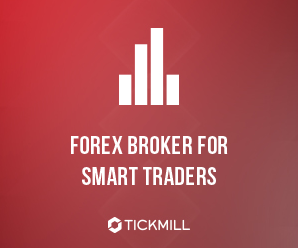 Tickmill is the new way of trading with extremely low market spreads, no requotes, STP and DMA, absolute transparency and the latest trading technology. Our mission is to give you the best possible trading environment so that you can focus on trading and become a successful trader. Tickmill has been built by traders for traders. Our team members have trading experience that goes back to 1994 and have successfully traded on all major financial markets from Asia to North America. To put your Tickmill trading account under our IB group you need to send an email to support@tickmill.co.uk for UK jurisdiction and support@tickmill.com for Seychelles jurisdiction. Find below the sample of the email. * IBU59317371 and IB96571911 are the IB codes for FxRebate (Financial Trading Art). **Tickmill doesn`t pay any rebates for CFDs, therefore rebates will not be earned for CFD trades. Following the vision of providing you with the best trading environment that does not impose restrictions on profitability, we never charge you any withdrawal fees. Everything you earn is yours to keep – up to the last cent! Additionally, all deposits starting from $5,000 or equivalent processed by wire transfer are also included in our zero fees policy. Just email us a copy of your bank statement or any other confirmation document for the respective deposit at support@tickmill.com and we will refund you the fees.